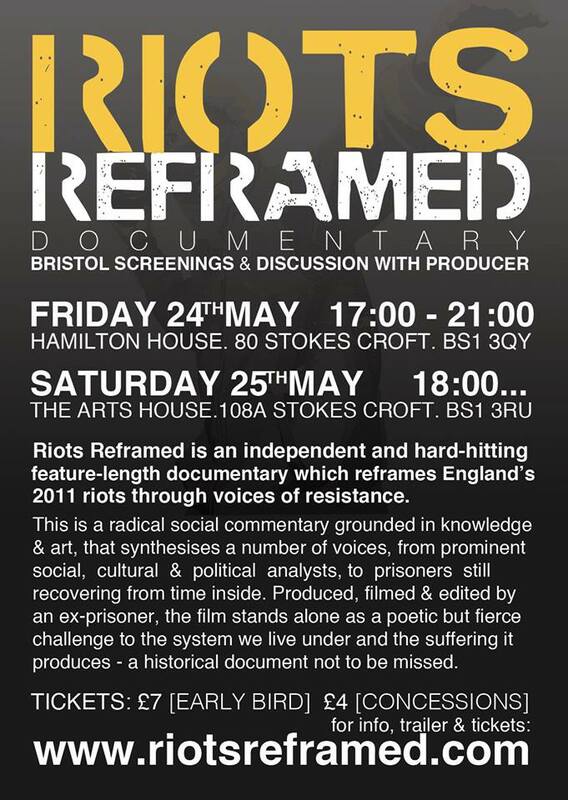 So this weekend Riots Reframed will be shown in Bristol. Now we haven’t seen it yet, so it hasn’t got the FBWL seal of approval but it does look interesting. The first screening will be on Friday the 24th May at Hamilton House down Stokes Croft. And the second screening will be on Saturday the 25th May at The Arts house (also down Stokes Croft). Now as we’re talking riots I thought I’d post up an interivew we did with Wes Ham from BRHG. In it he talks about the facts of the riots. Where was looted, who was arrested and the 3 different types of riot. Riots, Riots and Football Hooliganism. This is an interview we did with Noel in 2011 just after the August Riots. He talks about his involvement in the Hartcliffe Riots and the 1981 Riots, his view on the August Riots and how the press represented the lot of them. He also talks about his years following Bristol City and football hooliganism. The interview was taken from From Bristol With Love 7 back before we had mixcloud. It’s probably my favorite shows (apart from the proper long tune at the start. Noels request). You can listen back to all of our shows on our Mixcloud Page .